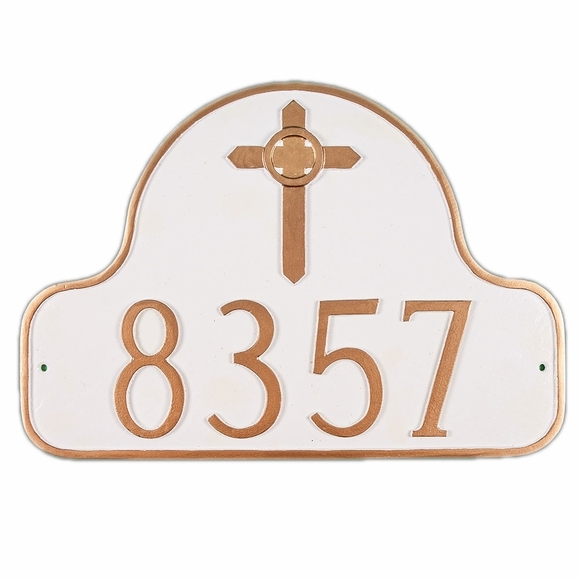 Personalized Arch Address Sign with Celtic Cross - - 16" x 11" wall mount Celtic Cross address plaque. Made in USA. Decorative arch frames a large Celtic Cross above your address. Wall mount aluminum sign features a Celtic Cross and one line of personalization. Comes in 26 different color combinations. Made in the USA.